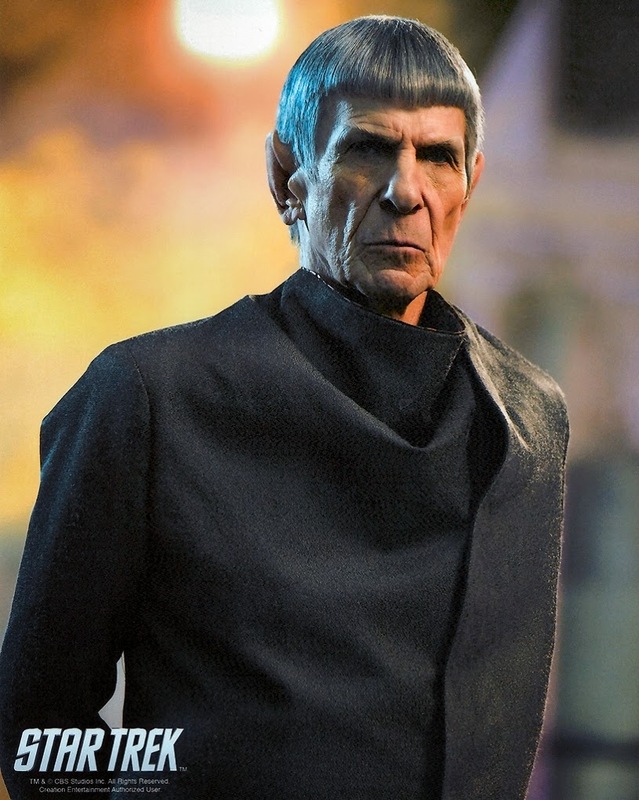 Live long and prosper, Mr. Spock. Last night's 80 Meter QRP Fox hunt was interesting and frustrating, all at the same time. I have written about the Fox hunts here many, many times - but for newbies, or those unfamiliar with the process, the procedure is germane to rest of this post. The 80 Meter Fox hunting ground takes place on spectrum real estate centering on the QRP Watering Hole of 3.560 MHz. The 80 Meter woods is 10 kHz on each side of that, from 3.550 MHz to 3.570 MHz. One Fox "hides" in the upper half and the other in the lower. 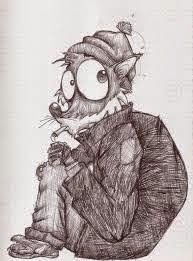 You find the Fox calling "CQ FOX", send the required exchange back and forth, and you earn a pelt if successful. Last night, the two Foxes, Earl N8SS and Dale WC7S decided to do something a bit different. Earl planted himself 1 kHz below 3.560 MHz, while Dale planted himself 1 kHz above the Watering Hole. Both worked split - Earl down and Dale up. Sounds like good, clean fun, eh? In theory, yes - very good. In practice, good - but not very good. And the difficulty that ensued was not the fault of Earl or Dale. Once again, it was due to the Hounds (AKA, the pile up) not listening. I caught Earl two minutes into the Hunt at 3.559 MHz. I heard him (key words) call "CQ FOX" and then "DN". That raised my eyebrows a bit, as I wasn't expecting that. But I quickly adjusted VFO B and nabbed him on my third call. At this point, all was peachy keen. Then, going up to the high end of the 80 Acre Woods, I heard Dale's pack of Hounds - not very far away at all. From the location of the Hounds and figuring on a "standard split" of 1 kHz, I figured out that Dale was probably sitting around 3.561 MHz. I tuned over there and indeed, there he was - very weak, around 119 ESP levels. What made things even more difficult were the Hounds chasing Earl, who weren't listening and were trying to work him by calling "up". And they overwhelmed Dale's weak signal completely. And there lies my complaint. If you can't hear the Fox well enough to determine that he's calling "DN" then what are you doing, calling him at all? Listen - don't make assumptions! It got to the point where Dale must have realized something not good was going on, as he moved up a little bit farther. That was nice, but there were other problems to deal with, on that end. I had the KX3 in Dual Watch mode and finally had to turn it off, because some of the shenanigans going on there were pretty bad too. I heard one Hound who blindly sent his call - I kid you not - 10 times in a row without so much as taking a breath! 10 times - really ?!? I think that Dale was able to work two Hounds in the time it took this one guy to send his call that many times. Wow! And obviously, if you are sending your call that many times, then you are not listening - and that's the most important thing you can do in a pile up. TURN OFF ALL SPEECH PROCESSORS AND COMPRESSION! Do NOT overdrive ALC. There is a night and day difference in listening to NA/AS and EU pileups. 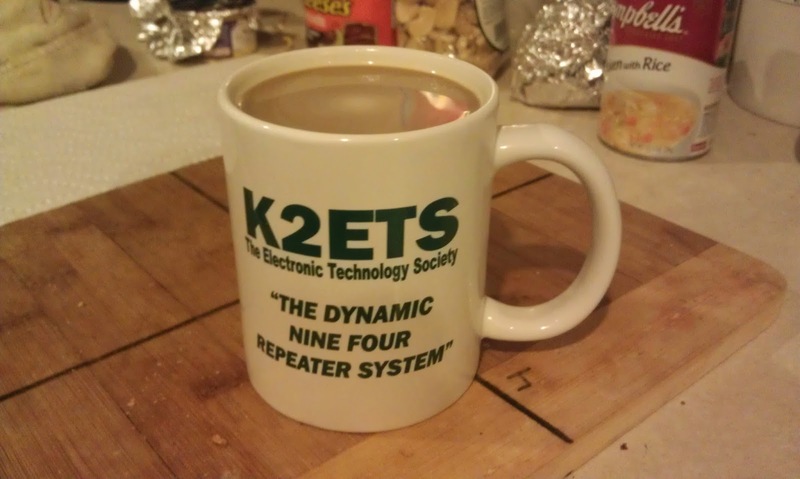 The horrible distortion makes it impossible to copy many, if not most EU callsigns. There were MANY loud stations that we did not work, simply because we could NOT understand their terribly distorted callsign. Have you ever listened to yourself in a pileup? We gave many stations a “19” signal report. Very loud, but extremely unintelligible! You want to have INTELLIGIBILITY, not distortion! The best advice IS "listen, listen, listen and listen some more". Avoid the temptation to jump in blindly and work shot gun style. In the end, you will work more DX - and Foxes, if you listen. And, by becoming a better operator, you will not only be more successful, you will earn the admiration and esteem of your fellow operators. No one wants to earn the label of "LID". Something is definitely wacky with this HP laptop that I am using. Maybe I need to call in a priest and have an exorcism done. Maybe I need to shake a dead chicken and some garlic at it. You know the story. The other night, I loaded the latest version of TQSL for LotW and requested a new call sign certificate from the ARRL. The certificate came, I tried loading it, it wasn't recognized. I tried re-booting the computer several times - nada. I uninstalled TQSL and re-downloaded it and re-installed it. Zilch. I e-mailed the League and described my problem. They kindly sent me an eleven page .pdf file, describing what to do with troublesome call sign certificates. I was going to un-install TQSL again, delete my certificates and start from scratch. But then I got this nagging little feeling. Give it one more shot, a little voice said. I successfully signed and uploaded my ADIF file to Newington, without so much as a hiccup, burp or hitch. I did NOTHING new, different or out of the ordinary. Tonight it worked like a charm, when the other night nothing worked. Then I took a look at the certificate properties. "Successfully loaded 2/23/2015" or words to that effect. What? But that's not possible! At least that's not what it was saying the other night! The other night, the certificate couldn't be found! Excuse me while I run out for some Holy Water. Computers are dark magic and evil. 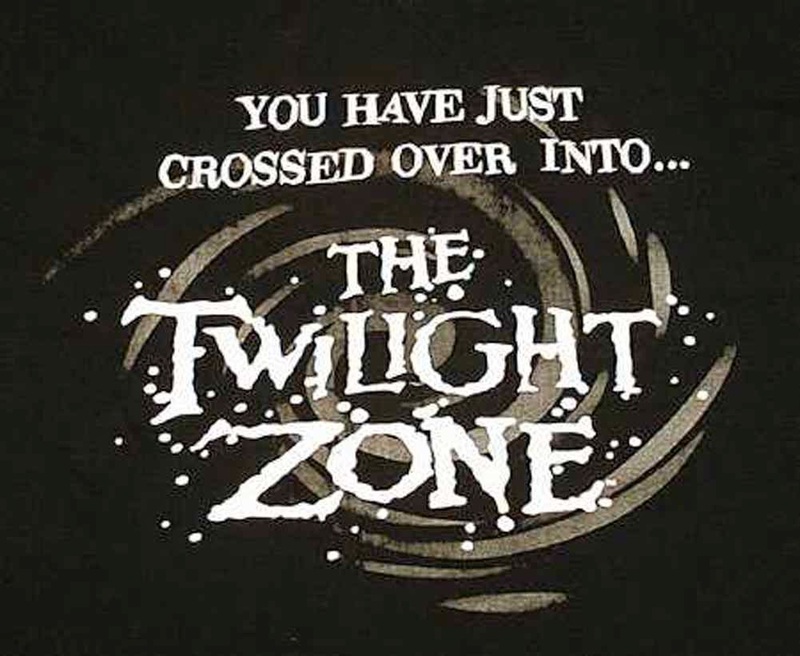 Either that, or I have just crossed over into the Twilight Zone. It's been a week since John AE5X posted his last to his "Radio & Photography" blog. I for one, am gong to miss his posts, very, very much. John has a flair for writing as well as his evident acumen for things photographic. That he didn't make photography his life's work is astonishing to me. He is more than capable and I think he could have made a comfortably satisfying living from it. I say that based upon working in the professional photographic support business for close to 30 years. I've come to personally know and have seen the work of some of the best that are out there. John's photos are right up there. There is nothing amateur about his images. But back to Amateur Radio. John's posts were always interesting and made for an entertainingly good read, whether they were about whatever he was doing at the moment; or even he was just expressing some thought or idea about the hobby. There are a lot of Amateur Radio blogs out there - heck, just look at my blog roll - these are just a sampling of what is out there, if you look hard enough. AE5X's "Radio & Photography" ranked high in the Top 5 in my most humble opinion. He will be missed. Thank you, John, for sharing with us as long as you have. Hope to catch you on the air on a regular basis. old fashioned, an anachronism, a square, an old fuddy-duddy - whatever you want, but this is just not for me. It's wonderful, I suppose - how far we've come since the Dark Ages, but this remote stuff is just not for me. Different strokes for different folks, but I'll be a dial twiddler, sitting right next to the radio until they pull the radio and key from between my dead, cold fingers. And I'm comfortable with that. Just a word that I received a VERY prompt reply from the League - Norm Fusaro W3IZ, in particular, who sent me an 11 page .pdf with detailed steps to go through. Scanning quickly through it, I thought I had followed all the steps last night, on my own - but I will give it another shot, including sending off for yet another call sign certificate. I have been using Logbook of the World for years now without a single problem. Well, I guess there's a first time for everything. The certificate is there - the League just e-mailed it to me! I even went to the LotW Website and manually downloaded my certificates - still nothing, same message box pops up. I even tried deleting Trusted QSL and re-installed it thinking there might have been some kind of error when it loaded - no dice. Any LotW gurus out there have any idea as to what might be going on? Thank you, Ed WA3WSJ and QRP ARCI !! One more DXCC entity and I will qualify for the 150 endorsement. My ARRL DX Contest effort was almost identical to that of fellow blogger Mike VE3WDM. Limited amount of time, and not what you would call a "serious" effort. I don't know what it is with me, but after about two or three hours in the chair, I get antsy and have to get away. I guess I just don't have it in me what it takes to be a contest monster. I put in five brief sessions over the weekend, in between chores and other commitments. A very brief effort Friday night, a longer one Saturday morning, a short one both Saturday afternoon and then another one after dinner on Saturday evening. Then I put in a short effort on Sunday morning, probably just a bit longer than what I had done Saturday afternoon and evening. I didn't keep track of my time, but if the sum total was more than four hours, I'd really be surprised. My plan of attack was to tune from one end of the band to the other, listening for stations who I thought would stand a good chance of hearing me. If the station didn't hear me after three or four tries, I moved on. Happily, there weren't many times that I had to "move on", maybe three or four all weekend long. Conversely, there were also a few instances where I heard a station calling CQ in the clear, and based on their signal strength to me, I was fairly certain they would not hear me calling. Surprisingly, they did. That was cool, I like to be wrong in instances like that! My Saturday morning/afternoon effort was interrupted by computer problems. As stated recently, my shack computer is now the family computer upstairs. I had resorted to employing an old Acer Aspire One for shack duty and it seemed to be working well last week. However, adding a lot of contacts to the log in a short amount of time caused its processor to have serious problems. I would type in a call and there would be a lag before it appeared on screen. Several second lags resulted between pushing the tab button and the cursor moving between fields. This was annoying to say the least, as I was attempting to log in real time, instead of logging on paper and entering the data later. I ended up turning the radio and computer off and shutting the whole works down. I dug out and resurrected my old HP laptop, which is physically and cosmetically beyond its last legs, but electronically in relatively decent shape - as it has a much faster processor than the Acer. I propped up its screen as the hinges are broken, plugged in an auxiliary monitor so I could have two displays, as well as an auxiliary keyboard. In essence the laptop is just acting as a shell and that's OK. The processor is able to handle Log4OM without a whimper. It served me well throughout the remainder of time on the air this weekend and will be my shack computer until the day comes when I can afford to purchase something newer. I'll have to give this HP a medal when its time finally comes because it has gone above and beyond the call of duty. I spent most of my time on 10 Meters. The band was alive and it was fun. I also spent some time on 15, 20 and 40 Meters, although not as much. For me, 10 Meters was the happening place to be. My antennas were the same as usual, my Butternut vertical and my W3EDP. I'll have to take a good look at the log, but I made somewhere between 80 to 100 QSOs in the course of my effort. I am guesstimating somewhere between 30 - 40 DXCC entities worked. My goal was to demonstrate how easy it is for the budding newbie QRP DXer to get his or her feet wet. The ARRL DX Contest has a very easy exchange, a very wide audience, and you can get great results without a huge antenna farm. In four hours, I accomplished a decent amount. If the newbie QRP DXer were to give it "a true effort" I can see how a huge dent can be made in achieving QRP DXCC, if not outright accomplishing it in a single weekend. BTW, the two red dots showing up on mainland USA are the home QTHs of two of the Caribbean stations. One last note - I hadn't realized how much my code speed has improved. At least I am assuming it has improved. Either that, or the whole world has slowed down. There were far, far fewer stations that I had to outright bypass because I just could not copy them, and also fewer stations that I had to stop and listen to several times before "getting" them. I found myself bumping up the code speed on the KX3's keyer several times towards the 26 -28 wpm neighborhood in order to send the exchange back in order to match the speed of the station I was trying to work. I guess after 30-some years, this CW thing is finally starting to kick in. 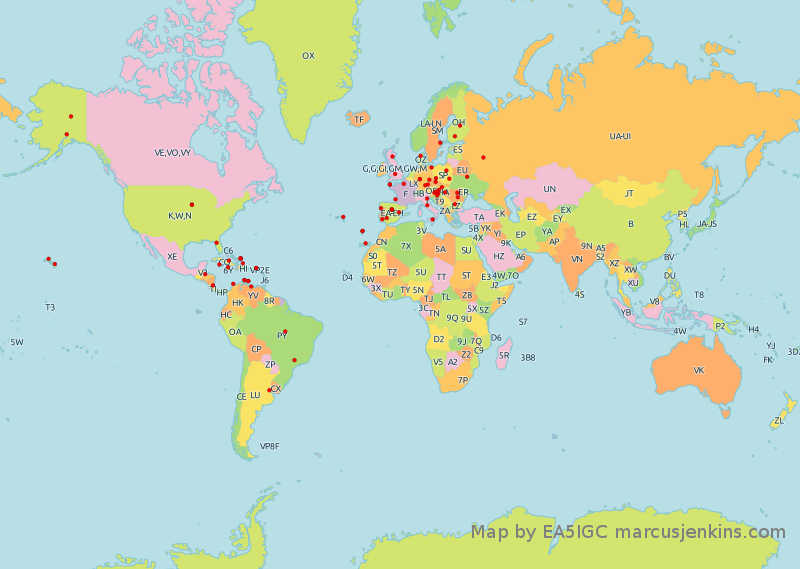 By clicking on each country, you can find out how many Amateur Radio Ops that country claims. Certainly sounds nice and looks good, doesn't it? It's hard to believe that it's only four weeks to the beginning of Spring when you wake up and the thermometer informs you that it's only -3F (-19C) outside. I know for a lot of you, that's probably a heat wave. However, South Plainfield is only 20 miles away, as the crow flies, from that big, warm Atlantic Ocean, and it normally protects us from 0 or -0 temperatures. When it gets this cold, my basement shack chills down even more. I was comfortable for the 80 Meter QRP Fox hunt last night, but I sure wouldn't have minded racks full of tube gear! It was a treat as we had on duty two of the finest Foxes that we have. John K4BAI and Jim N0UR were handling the Hound pileups like the pros that they are. It was so cool (pun intended) to work both of them rather early, and then to be able to just sit there and listen to their masterful Amateur Radio skills. "Hey, Brother, can you spare a Dah?" Tnx and a hat tip to Randy NC4RT for the caption. 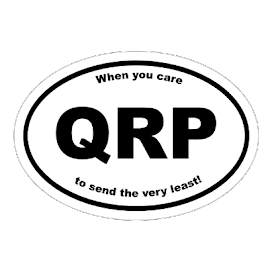 A lot of my QRP friends are jumping feet first into the ARRL DX Contest this weekend, and I suspect they will do quite well. 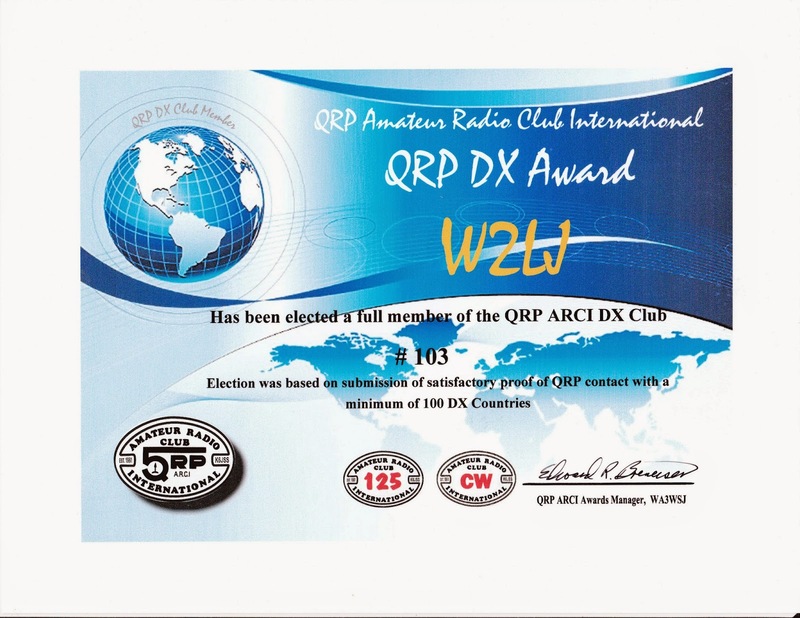 For instance, Dave N1IX and Dale WC7S recently received certificates from the ARRL, declaring them the top QRP Ops in their respective sections in last year's contest. It's an honor to be able to know and call high quality ops like this, your friends. Getting back to the seasons, though. Some encouraging signs are that pitchers and catchers reported yesterday for Spring Training, and when I walk out to the car at the end of the work day, it's still light outside. When the sounds of baseball return to fill the air and the days start getting longer, the warmer weather can't be too far behind. Hopefully, in about six to eight weeks, these cold temps will just be a bad memory and some planning for outdoor QRP ops can commence. I am also hoping that sooner than that, the snow will melt enough that I can take down my 88' EDZ antenna for good, and that I will have the opportunity to raise my W3EDP even higher. This is the program that Sean KX9X was talking about in his video from Pigeon Key that I posted a few weeks back. Looks like they're sponsoring an outdoor (not necessarily QRP) event for this coming May 9th. Might be an excuse to get down to Long Beach Island for the day. I am not a big contester, as I've said here many, many times. I just don't have the patience or the time to put the long hours in a chair that are necessary to make a substantial effort. I do like to dabble. And this weekend coming up is one of the "majors" that I like to dabble in - the ARRL DX Contest - CW portion. 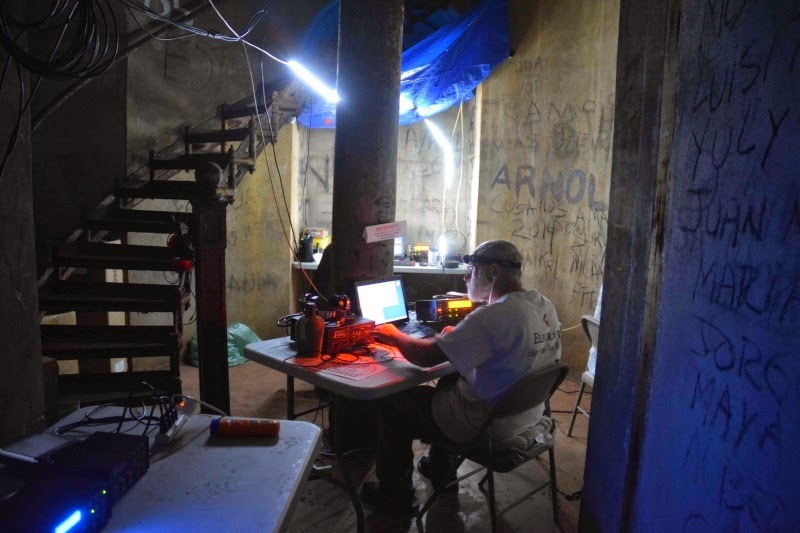 This is an excellent contest for budding QRP DXers. 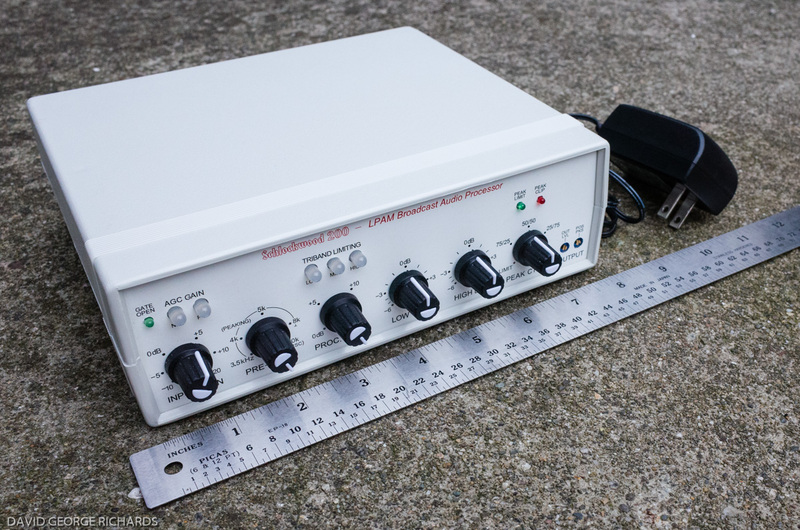 And this post is just for you, who are new to the QRP DX game. If band conditions are favorable, the newbie QRP DXer can easily gather one half, if not all the DXCC entities to earn QRP DXCC in one weekend. The goal of this contest are simple, for W/VE stations to work as many DX stations as possible in the time allotted. The exchange is also easy-peasy - RST and your state or province. Even if you're relatively "light" in CW, the exchange is not something you should stumble over. A few things for the budding QRP DXer to keep in mind. 1) Don't get discouraged early on. When you turn on the radio Friday night, a lot of the CW will sound like buzzsaws to you. Wait until Saturday night or Sunday morning to jump in. By then, the big guns will have tired a bit and may send a bit slower. 2) If a station will not QRS for you, don't get sweat it. Just move on and work someone you can understand. 3) Keep listening all this week, leading up to the contest. A lot of stateside Hams will be traveling to exotic locations this week - solely to operate in this contest! 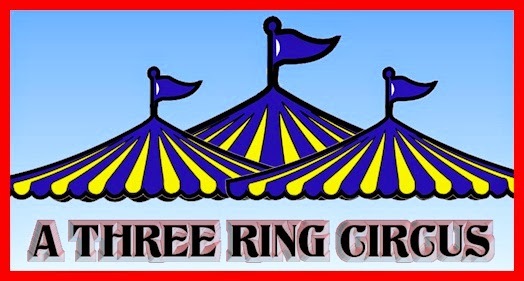 They will be setting up and testing their stations ahead of time - get on the air and work them under non-contest conditions. 4) Sunday afternoon to Sunday evening is the prime time for QRP stations. Big gun contesters who are still hungry for points will be more willing to listen for weaker signals towards the end of the event. 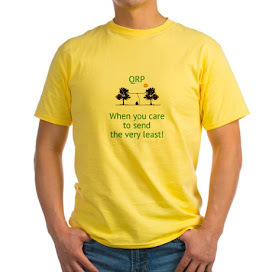 5) Even if you're a veteran QRP DXer, you can make this contest fun. 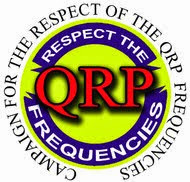 You can cherry pick and listen for DXCC entities that you have never worked before - or you can try your hand at DX QRPp. I did this one year. 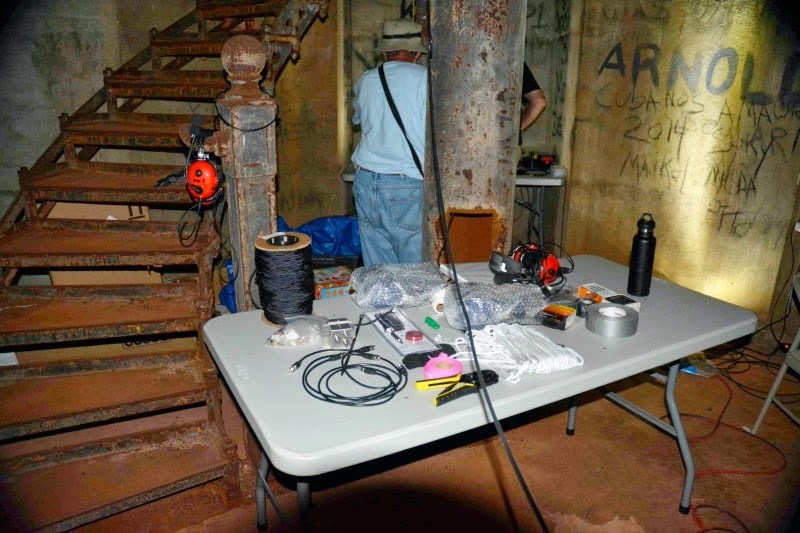 I went down to the shack and turned the power down to 750 milliWatts. I was amazed by the number of contacts I made. I have never seriously kept track of how many DX stations that I was able to work QRPp. This is something I may start doing this weekend. Hope to hear you guys fattening up your QRP DXCC totals this weekend. Let me know how you did! I use my W3EDP antenna for 160 Meters. I'm 100% positive that it's not the best solution for that band. It's probably grossly inefficient to begin with, and it's nowhere near as high up in the tree as it needs to be. All that aside, it's the only thing I have that loads up on "Top Band" right now, and it's the only working wire antenna that I have, to boot. Imagine my surprise then, when tuning across the band Sunday evening, I heard C6AUM in the Bahamas calling "CQ UP" with surprisingly few takers. Not thinking that I stood a snowball's chance, for kicks and grins, I upped my power from 5 to 75 Watts and threw out my call. He came back to me first shot! I got the standard DX "599" report, but there's no way in Hades that I was actually 599. He wasn't 599 to me, and as it was, I didn't even expect to be heard. With each snowfall the 88' EDZ comes closer and closer to the ground. If Ol' Man Winter keeps up his snowy attack on us, I won't need to worry about lowering the EDZ come Springtime. It will already be on the ground. My only chore will be to get the W3EDP up higher - to about the 35 foot level maybe, or install something else all together. A vintage 1950s issue of the ARRL Antenna Handbook has been keeping me company as of late. Oh, and I bit the bullet and purchased a 365pF variable air capacitor from eBay in order to construct a homebrew magnetic loop antenna. This should be interesting. I have been down here in the shack busily making computer changes. The family computer died - kinda sorta. I can't get it to connect to the internet. Neither Ethernet cable nor wireless adapter work. It's an older refurbed HP machine that I got on the cheap, so I got my money's worth out of it. My shack computer, which is a Dell Optiplex that is running nicely (knock wood) will now become the family computer. For the shack, I am resorting to my old Acer Aspire One. With an external keyboard and an auxiliary monitor, it will fit my needs - even if it is an older XP laptop. I loaded the essentials onto it, Log4OM, and TrustedQSL. It already has DX Atlas, OmniRig and a few other Ham programs loaded onto it, so I am good to go. Not my idea of an ideal situation, but I can't afford anything different right now. The processor in this thing is a little pokey, but at this point, it's irritating but not fatal. Anyway, while I was checking out Log4OM, to make sure everything was working properly, FK8IK popped up on 15 Meters as I was tuning around. Once again, I just happened to be at the right place at the right time. I have never heard New Caledonia so loud. The pile up was very thin, so I thought I had a good shot. About ten calls with 5 Watts yielded nothing, so I bumped up the power. I rarely work stations "from the other side of the world", and I wasn't about to let this opportunity get away from me. I punched up the KX3 to 90 Watts and got him on the first call. QRP would have been nice, but I'll take the ATNO. I can always turn down the power next time. here's a video of Steve WG0AT and Frank K0JQZ's operation in balmy Colorado last weekend. Frank mentions this is Steve's back yard - VERY NICE back yard! Something that struck me as odd. As stated before, 80 and 40 Meters were QRO, for the ATNO, and 20 Meters was the QRP ATNO. Only three band spots, but I met my goal(s), so I'm happy. Look at all the graffiti! I guess most of it was done before the island became protected in 1999 (although I plainly see "2014" scrawled on the wall in the top picture). Still, to see that much of it in a supposedly "out of the way" place (and a wildlife refuge, to boot! ), surprised me. If I didn't know any better, I could have thought these photos were snapped in Newark, Philadelphia or some other large city. the weekend to have held FYBO! 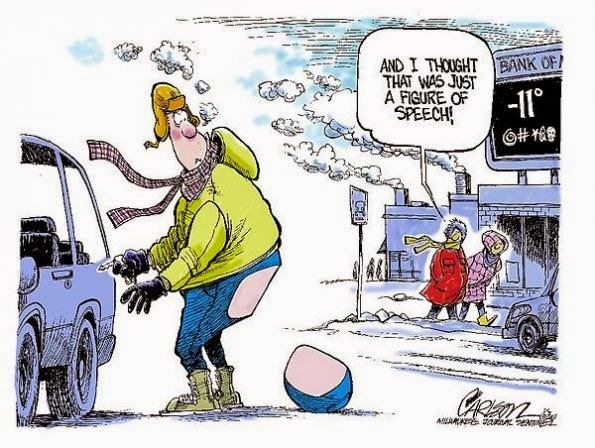 The weather people are saying that along with the polar vortex that will be visiting this weekend, we'll be getting (probably) the coldest weather of the season. We had a high temperature of 41F (5C) here today around lunchtime. Ever since then, the degrees have been dropping like an elevator coming down from the top floor a skyscraper. It's currently 27F (-2C) and there are some pretty fierce snow squalls at the moment. Oh, and if the dropping temperatures weren't enough, the same forecasters are broaching the possibility of significant snow, perhaps on Saturday. I'm sitting in the shack, waiting for the 80 Meter QRP Fox hunt to begin. I have a big mug of hot chocolate to keep me warm. I am listening to the K1N pileup on 30 Meters. I think the K1N ops are exhausted by now. They're not whittling away the pileups like they were - long pauses before answers. These guys are just fantastic in my book. It's been hot as heck on that island - I saw the one photo where their digital thermometer was reading 112F (44C), and supposedly the island is home to rats the size of cats and there are also supposedly a lot of black widow spiders. Not exactly like home. And through it all, they've handed out somewhere in the neighborhood of 100,000 QSOs. I can't wait to see the video of this DXpedition. That being said, I'm not terribly sad they're going QRT this coming Sunday morning. It will be nice for a while to get back to normal, where trying to work a DX station means only going up 1 or 2 or perhaps 3 kHz - not 20 to 30! Even on CW, the pile up behavior has been atrocious, and I've never heard so many curse words spelled out in Morse before. 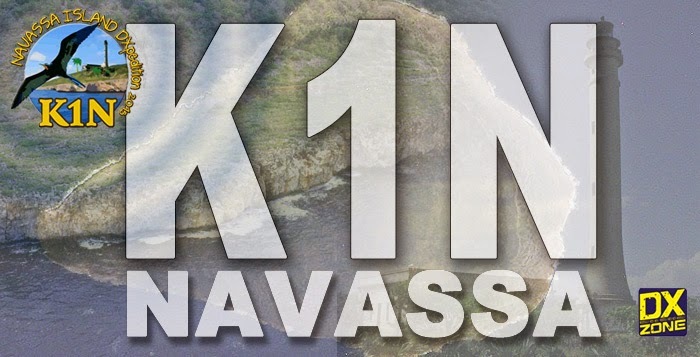 I think this DXpedition was a triumph for the K1N team, but a lot of our brethren in the pile ups have a lot to be ashamed about. Some of you might notice the change in my FYBO score in the immediate proceeding post. This is a hazard that occurs when you log on paper and then transpose to computer. I missed transposing a QSO! I am going to send an e-mail to the AZscQRPions, but if they don't accept my log change - that's fine with me. I was in it for the fun, not to win, and I'll probably place somewhere in the middle of the pack when all is said and done, anyway. The only way I spotted my log error was due to an e-mail that I received today from Steve WG0AT, with a link to an audio file of my FYBO QSO with Frank K0JQZ. I remembered the QSO immediately, but also remembered that I didn't count Colorado as one of my worked S/P/Cs. That's when I realized, the QSO is in my little notebook, but I had skipped over it when transposing to my Master Log in Log4OM, down here in the shack. The QSO took place at 0201 UTC. I really need to stop using paper and pencil and just rely on HamLog in my tablet. Old habits die hard for us pluggers, though! Here's a link to the audio file of how I sounded it Colorado. Not bad for a Buddistick plopped onto the roof of a Jeep in Central New Jersey, eh? Thanks, Frank for the QSO and thanks, Steve for the audio file! All in all - a good day! There were a lot of things to get done before playing in FYBO, and (channelling Yoda) get them done I did. Believe it or not, my FYBO operation was from the street in front of our house. I live on a relatively quiet side street, so there was no danger of being hit by a car or something like that. I opened up the hatch of the Jeep, just like I do at work, and set up my nylon camping chair and used the "trunk" of my Jeep as an operating table. 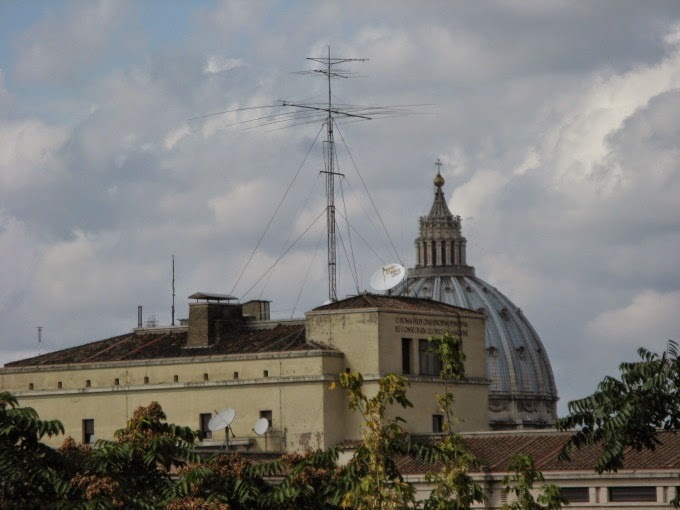 My antenna was the Buddistick/magmount combo on the roof . I'm sure the neighbors were staring - wondering, "What the heck is he doing now? And what is that tall stick poking up from his car roof?" "And why is our dishwasher going crazy - I'll bet it's him!" As I set up it was flurrying slightly and the temp was 35F (1C). And then it happened. I tried tuning up the KX3 and couldn't get a decent match. Of course these things always happen at the worst time! Calmly, I took the Buddistick off the roof and inspected it - no problems there. Then the magmount - AHA! Where the coax meets magmount, the dielectric foam surrounding the center conductor wire cracked open (from the cold, I guess, because I keep it in the trunk when not in use). The shield was ever so slightly touching the center conductor and was making for a bad situation. A quick trip to the basement shack was in order. I cut the coax back, soldered on two new ring terminals and put everything back together. The KX3 was a happy camper with a 1:1 match. 15 Meters was pleasantly active, affording me 10 of my 24 QSOs. 20 Meters was also busy but noisier, with some TN QSO Party stations and some SOTA stations thrown into the mix. I also was contacted by an SKCC station - I guess they have something going on this weekend, as well as one DX station - G4OBC. I tuned around 40 Meters at the end of my operating time, but heard no FYBOers. There was no wind to speak of, so it actually didn't feel that bad outside. I think the temperature reached a max of 38F (3C) while I was out. I was comfortable, except that my hands were cold, as I really couldn't send Morse while wearing heavy Winter gloves. And another discovery - the older you get, the more bathroom breaks you need when it's cold! Too much information? Sorry! Now, if that wasn't enough - my FYBO day was made even better by finally working K1N with 5 Watts. YES!!! I came down to the shack this evening to enter my FYBO log into my Master Log. While doing that, I heard K1N on 20 Meters (haven't worked them there yet) and they were truly 599 loud. I double checked my power setting to make sure I was at 5 Watts and I jumped into the pileup. In about somewhere between 5 to 10 calls, I finally heard my call come back to me. Sweet! My personal goal is now complete. I got K1N in the log for an ATNO, and I also got them in the log using QRP power. It was a good QRP day. A VERY good QRP day! Not bad! An overcast day, very light winds, temperatures in the mid to upper 30s for most of the afternoon. Only about a 10% chance for any precipitation. All in all, very bearable conditions for FYBO. I have signed on with the QRP Polar Bears to be on their PBMME/FYBO team. For the uninitiated, PBMME stands for the Polar Bear Moonlight Madness Event. Every Saturday closest to the full moon, the QRP Polar Bears go and operate outdoors - year around. Kind of like a QRP To The Field every month. I don't get to participate in PBMMEs as often as I would like, so I am looking forward to tomorrow. This year FYBO and the PBMME occur on the same day - neat! I gotta make me something like this! Wish I had something like this for FYBO this weekend! Anybody know where I can lay my mitts on some of those clips that Steve uses as touch points? I believe they're also used on the TE-NE-KEY? Not really believing it myself, I sit here in the shack at 4:42 AM (0942 UTC), coffee-less and typing into this computer. My plan of getting up early and losing very precious moments of sleep did pan out. I now have K1N in the log! Knowing I was going to be up super early, I decided to leave the shack computer running, after last night's failed attempt on 40 Meters. We must have had a power failure during the night, because when I got down here, the computer was off. So I re-booted and while waiting for the microprocessor to do it's thing, I turned on the KX3. Lo and behold, K1N had not budged from the frequency that they were on when I left them last night. On a hunch, I decided to activate the KX3's dual watch, sub receiver. This time, after listening for a bit, I was able to determine the split was a manageable "up 5" (not like last night, where the split was something like "up 10-15 and everywhere in between") and I started sending my call. Within 12 minutes at 0912 UTC, I was in the log. As an aside, let me state outright - my fist at 4:00 AM without coffee was NOT a thing of beauty. Not at all - it was almost like I couldn't get my hand to work right. I was actually staring at it for a few moments wondering "What's going on here? You know how to do this!" After a few seconds of happy dancing, the shock wore off. "What do I do now? Go back to bed?" I really hadn't expected to be successful so soon. Better judgement was telling me to go back and get a few more Z's before beginning the work day, but Ham judgement took over. "No, since I'm up this early, let's try 80 Meters." You'd do the same thing, right? K1N's signal was a tad weaker on 80 Meters as compared to 40 meters, but I decided to give it a go, anyway. After listening with the KX3's sub receiver, I was able to determine that again, the split was manageable, and not all over creation. Even better, the K1N op's movements were steady and predictable. At 0938 UTC, I was in the log on 80 Meters! Holy cow! Two bands, within a half an hour of each other! The rest of my day is either going to go extremely well, or it's all downhill from here. The KX3, KXPA100 and my W3EDP did their job for me - thanks Elecraft, and mucho thanks to the K1N ops for digging me out of the pileup. Enjoying a well deserved "Cuppa Joe" after some early morning success! And yes, as per this blog post title, the mission is only half accomplished. With the remaining time that they are there on Navassa, W2LJ will make another attempt, on another band, to get into their log once again - this time with QRP power. Since K1N probably won't be activated for another 25 years or so, the first goal was just to get them in the log with my new DX Rule - WFWQL (Work First Worry About QRP Later). With that monkey off my back, I can relax somewhat and now try to beat the pileups with 5 Watts. Hopefully, that will be another interesting story that I will be able to write about. FYBO 2015 - this Saturday! Freeze Your B____ Off 2015 is this coming Saturday - the opening event of the 2015 Outdoor QRP Operating season! If the weathermen are correct, and these days, who knows? Anyway, if the weathermen are correct, Saturday will be the last day before a significant three day snow event here in Central New Jersey. As of right this second, the forecasted high temperature for Saturday is expected to be 39F (4C), with overcast skies. That would be a 4X multiplier at the very least. So I have several options. I can operate from outdoors - probably the picnic table in the back yard, but that's still covered with ice from last Monday's ice storm - it's never gotten above freezing since that nasty little clipper came through here. I can also operate from inside the Jeep. The advantage there is that all I have to do is plop the Buddistick on the roof - after I chip away the ice that's still on the top of it! But, with the heat off, the temperature inside the Jeep will be the same as the outdoors. Operating in this manner wouldn't qualify for the Mobile category, but it would be much dryer than the picnic table. I have time to decide - there's no hurry, and it will depend how adventurous I feel and how clogged up my head is on Saturday. Don't want this slight head cold that I am dealing with to develop into bronchitis or something worse. I guess I should make sure all my batteries are charged up for this weekend! I arrived home from our Technician License class with 40 minutes left in the 40 Meter QRP Fox hunt. Much to my dismay, there was an S7 noise level across the entire band.- so that was a total bust. Sometimes, I wish I had one of those magical red buttons, whereby pressing it, I could kill the power to all the houses in the neighborhood (including mine, because I can run the KX3 from batteries!) and eliminate that kind of problem. Just for an hour or so, nothing permanent! 30 Meters had no such noise problem, so I spent another fruitless hour trying to chase K1N. The pileups are so big that they are beyond the KX3's "Dual Watch" capabilities. Trying to quickly scan the pileup, in an attempt to discover just where K1N is listening is a bit of a nightmare. I suppose if I had a PX3, it would be a lot easier - but that solution is beyond my fiscal capabilities at this time. So I've decided to try another tactic. I wake up every morning at 5:00 AM. Normally, I sit with Harold (our Beagle) for a bit to give him some companionship before everyone leaves for the day - leaving him alone. But tomorrow, I may even get up a bit earlier and will head straight to the shack. Maybe at 4:00 AM, I might have better luck. I better make sure I get some coffee first, though. Unleashing W2LJ on the bands without some coffee might actually make things worse. Although listening to the pileup behavior has me convinced that even my worst accidental behavior can't be as bad as what some idiots are doing deliberately. I'm not trying to brag here, or toot my own horn. But by virtue of living in New Jersey, I can't even count how many times I've worked into the Caribbean with 5 Watts or even QRPp power. Reaching that part of the world has NEVER been a problem for me. K1N should be starting up very soon. Navassa Island is nestled comfortably in territory that I have always reliably communicated with. But this little spit of land is so high on the DX wish list, that it rivals North Korea on some DX'ers most wanted list. I expect nothing less than pandemonium in the near future. Expect mile wide pileups on the HF bands as everybody and their uncle try to work this DXpedition. So, while 5 Watts has never failed me up to now, I haven't decided my approach to K1N, yet. If I decide to jump into the fray very early, it will be with 100 Watts. However, I may also wait for the second half of the expedition, when a 5 Watt attempt may be more doable. UPDATE: K1N is on the air! I am listening to them on 40 Meters on 7.023 MHz, Currently the pileup is going past 7.035 MHz. I think there might be an issue for the 40 Meter QRP Fox hunt Tuesday night.